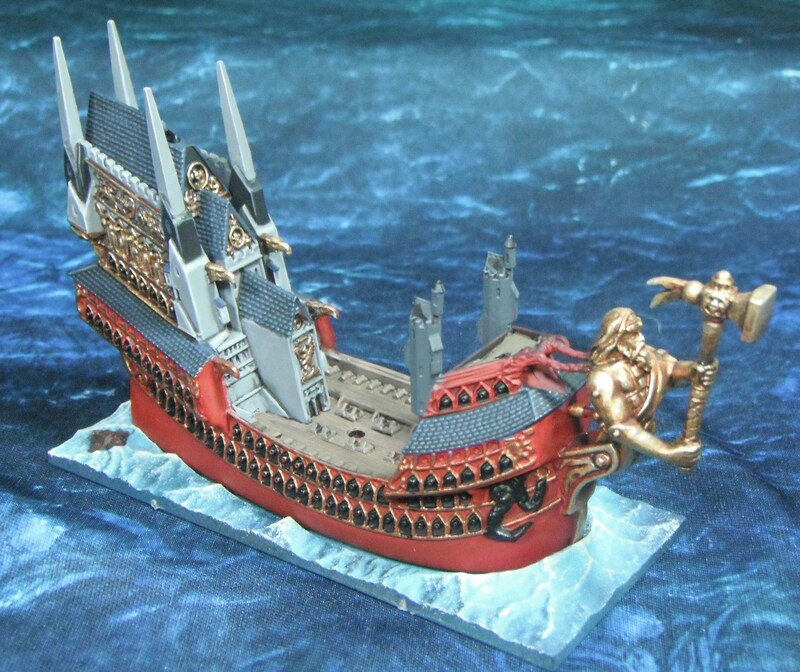 Well, it’s taken a while but the Heldenhammer is finally seaworthy. I’ve been working on this model on and off since November so it’s nice to have it finished. 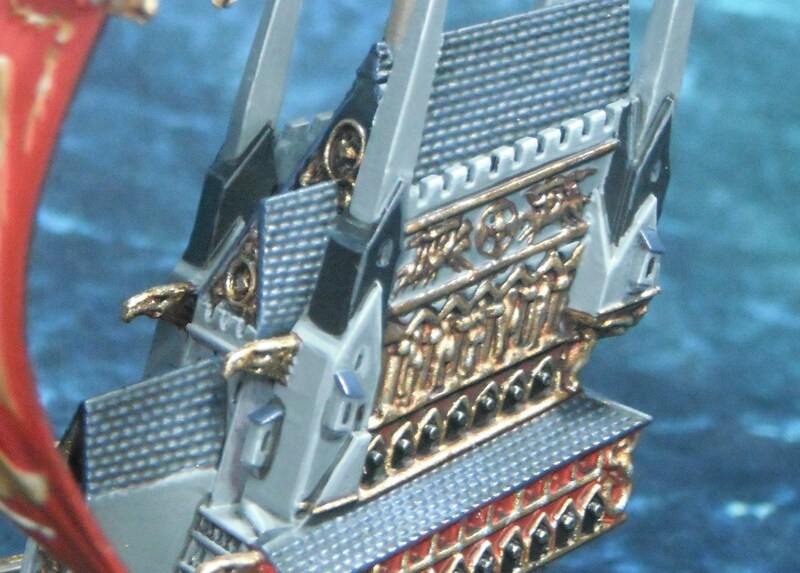 All of the gold detailing was a real pain to do as was the NNM gold effect on the sails’ degins. This was my first attempt at NNM gold and I’m very pleased with how it turned out. I used Calthan Brown and Snakebite Leather and highlighted this using Snakebite Leather with increasing amounts of Bleached Bone added all the way up to pure Bleached Bone. This ended up looking a little washed out and so I glazed the areas with the original basecoat to bring back some of the warmth. The gold was painted Shining Gold and Scorched Brown followed by a Shining Gold and then a Burnished Gold highlight. 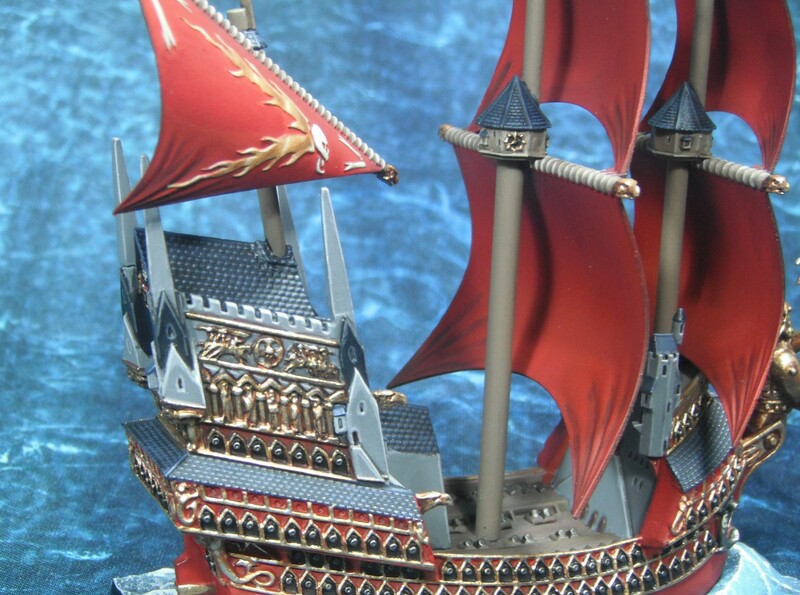 It was then washed with Baal Red in order to tie it in visually with the red of the hull and sails. This was then rehighlighted Burnished Gold followed by Burnished Gold and Mithril Silver and finally a tiny highlight of Mithril Silver on its own. 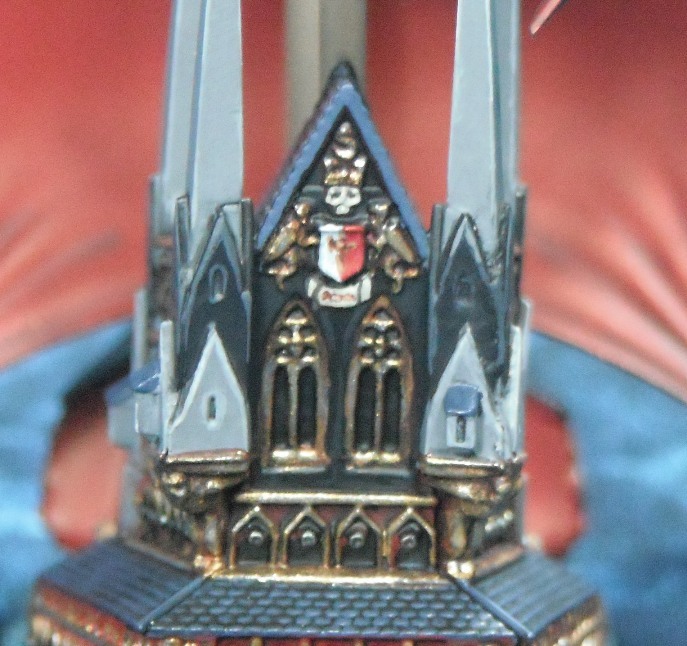 Here you can see where I added a bit of freehand detail. 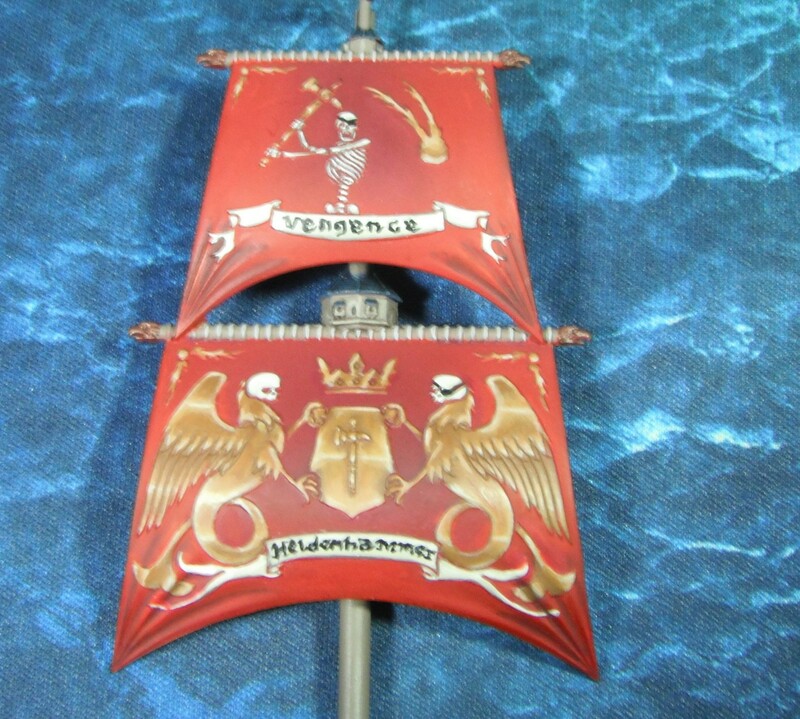 It’s not very clear in the photo but the shield design is a hammer on a red and white field. 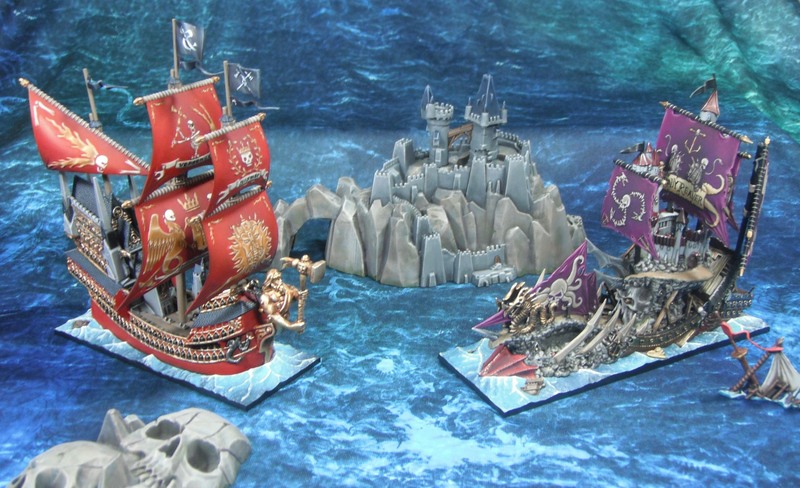 The Heldenhammer faces off against the Bloody Reaver in the midst of the Galleons’ Graveyard. Well, it’s the end of the year. So what have I got planned for 2012? Next year will bring a lot of big changes to my life. I will be finishing my PhD soon (I’m hoping to submit my thesis around Easter time) and will also be looking for a job. However, I do have a number of hobby plans as well. 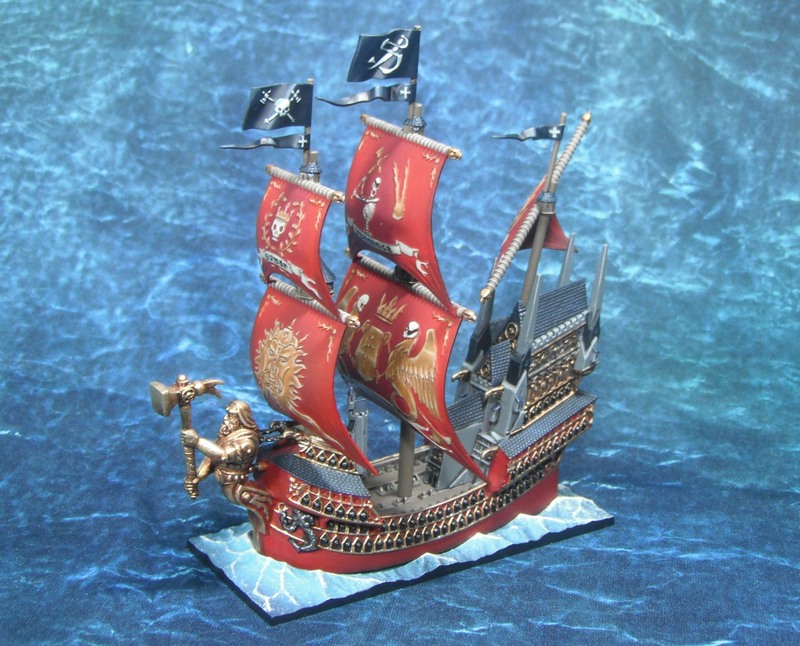 First of all I have a number of unfinished projects which I am hoping to complete such as my Dreadfleet set and my Mordheim project. I got a job lot of Mordheim models from ebay recently which included enough undead models for a starting warband. I plan on painting these up for a friend to play with when I start my campaign. 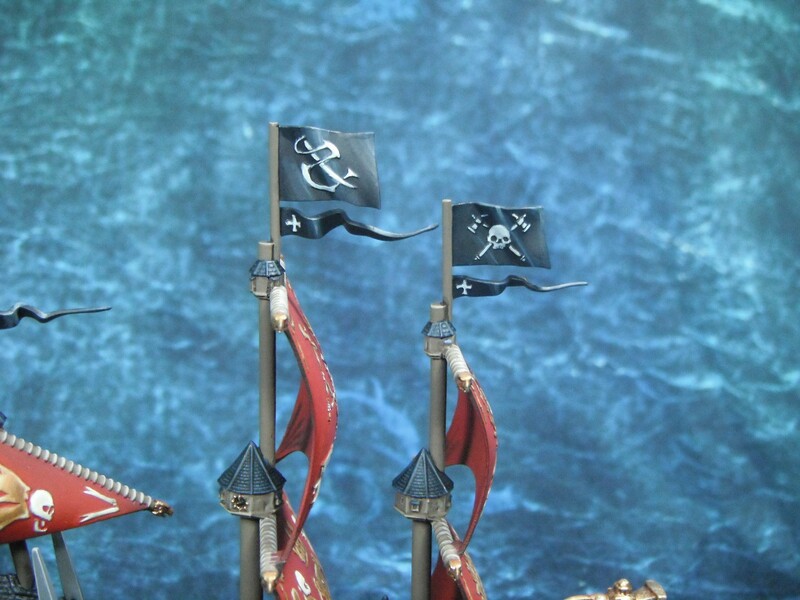 Here are the models as they were when I received them. As you can see, they have a very basic paint job which will need stripping and repainting. 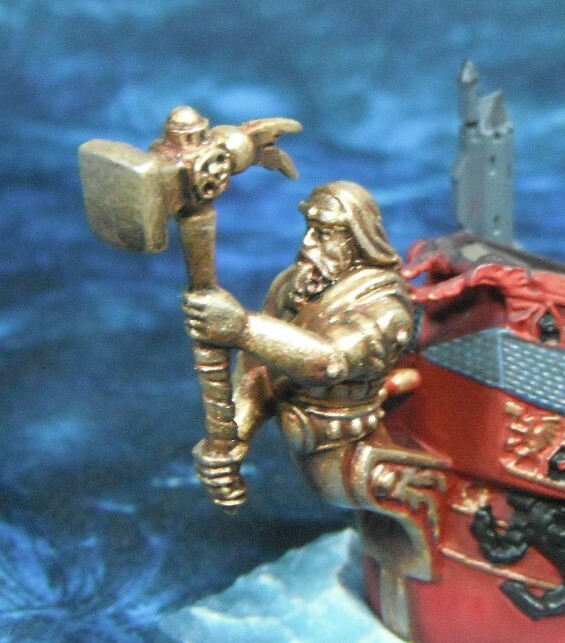 If internet rumors are to be believed, a new Chaos codex is planned for release in 2012. If this is indeed the case expect to see a return to my Death Guard army. My enthusiasm for this project stalled a little as they simply aren’t fun to play with. Hopefully Codex: Chaos Legions will make it possible to play with a fluffy army which is also competitive and fun. I plan on finishing painting my current units and adding a few new models as well. I have my eye on the fantastic Plague Hulk and Daemon Prince models from Forge World. Obviously the big news for next year is the release of the first installment of The Hobbit movies. The first trailer has already been released and looks brilliant. The trailer has been reposted on several blogs so I won’t repeat it here but if you haven’t seen it it is definitely worth a look. It doesn’t really give anything away but it is nice to see Tolkien’s world back on film. 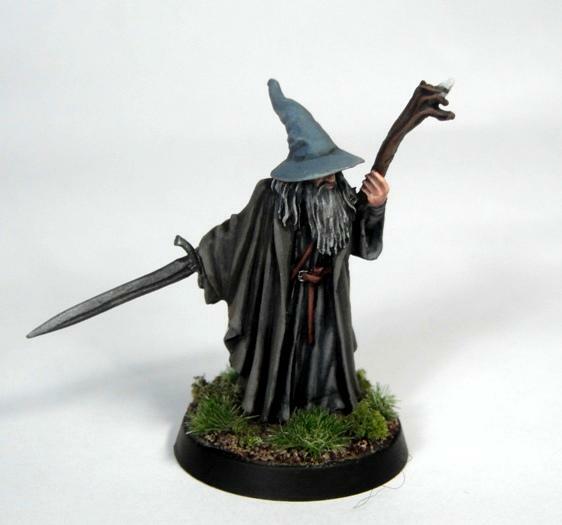 As a massive Tolkien-nerd I’m very excited about this and the news that GW will be producing a range of models for the franchise. The Heldenhammer is coming along nicely. 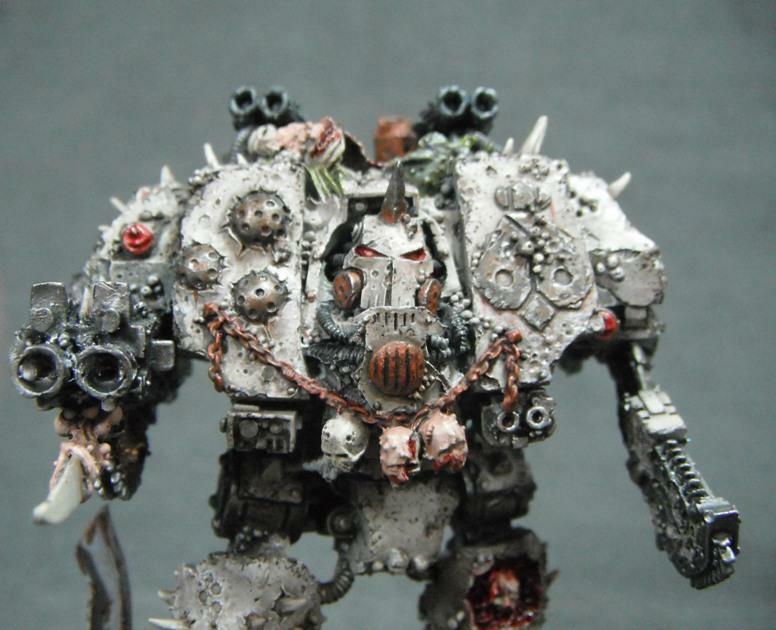 It is much more straightforward to paint than The Bloody Reaver due to the fact that it is composed of fewer different areas. 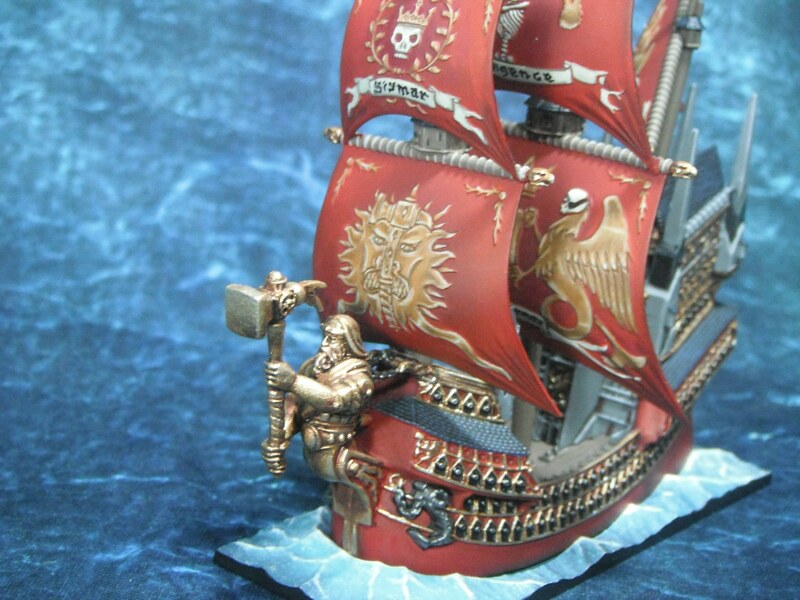 So far the ship has only taken a couple of painting sessions to get to the current stage. 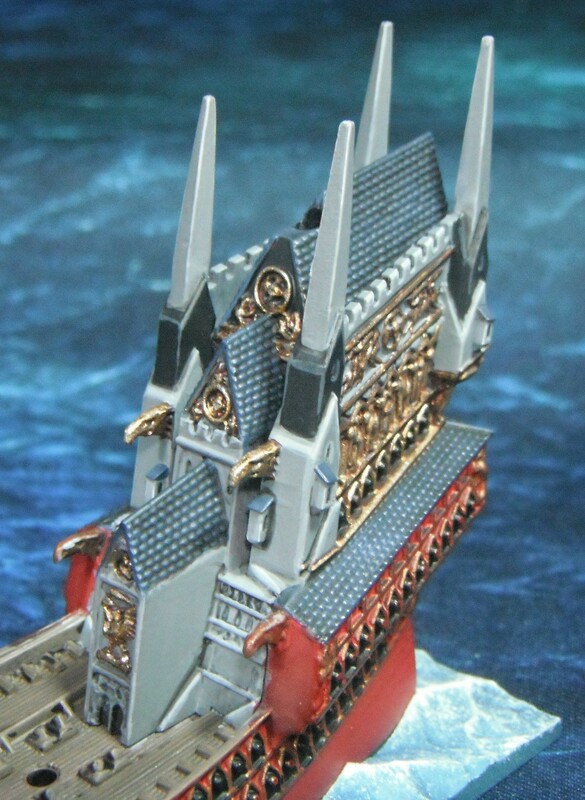 The cathedral was painted following the excellent guide in White Dwarf 382. 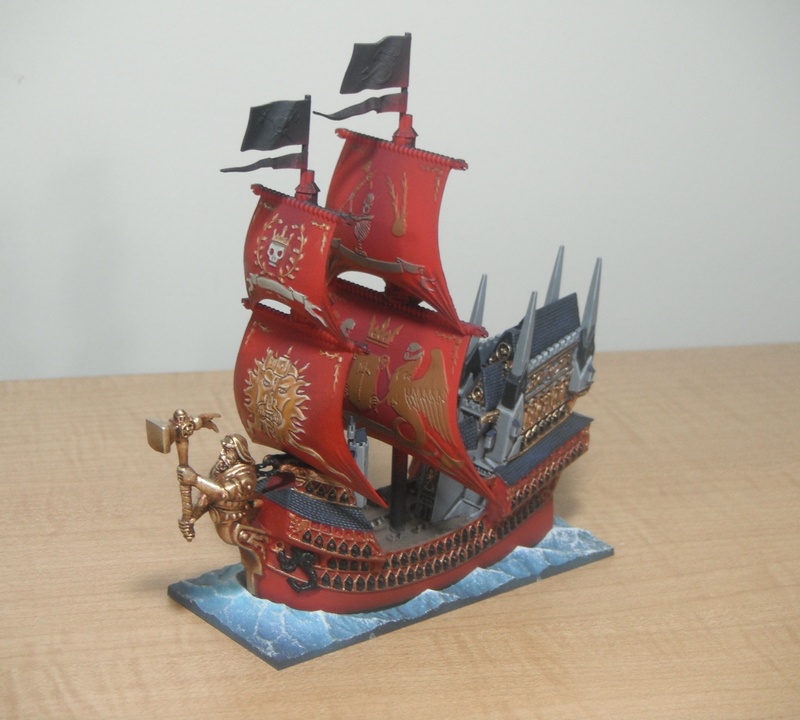 However, with the gold I tried something a little different and incorporated some red into the gold in order to tie it in with the rest of the ship. 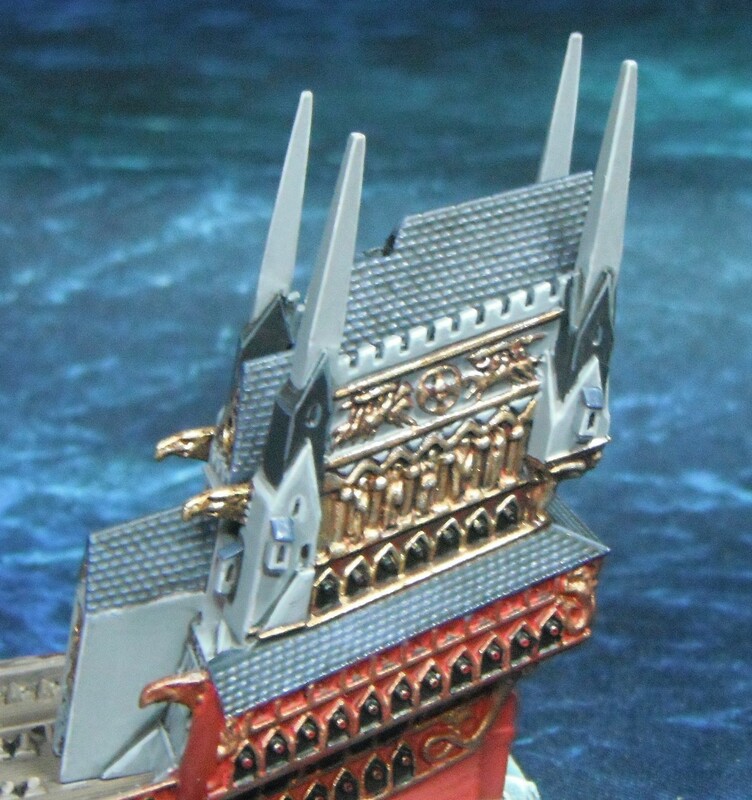 This was achieved by washing the gold with Baal Red before highlighting.